DC Comics is getting into the Halloween spirit this fall with a new anthology, House of Horror, featuring Superman, Batman, Wonder Woman, and many more of our favorite superhero icons, coming this October. The 80-page one-shot anthology will bring together some of the top artists and writers in the business for a collection of horror stories set within the universe of DC Comics with some of the most well known heroes facing all kinds of supernatural terrors. From the official press release: An all-new, all-creepy one-shot set in the DC Universe, DC House of Horror #1 features the contributions of some of the most exciting voices in contemporary horror fiction, including Bram Stoker Award winners Brian Keene and Weston Ochse, Bram Stoker nominees Edward Lee and Mary SanGiovanni, and other masters of horror including Wrath James White, Nick Cutter, Ronald Malfi and Bryan Smith. They’re partnered up with some of our best artists, including Rags Morales, Bilquis Evely, Howard Porter, Scott Kolins, Dale Eaglesham and others for some short stories that will keep you reading late into the night. Martha Kent fights for her life against a creature from a spacecraft that lands in front of her farmhouse! A young woman is possessed by the spirit of a murderous Amazon warrior! The last surviving member of the Justice League faces down a horror beyond imagining! Those are only a few of the tales within, but if they’re not enough to get you screaming like you’d just been hit by Scarecrow toxin, well, Keith Giffen is involved with this bad boy, too. DC House of Horror #1 will hit your local comic shops on October 25, just in time for Halloween. 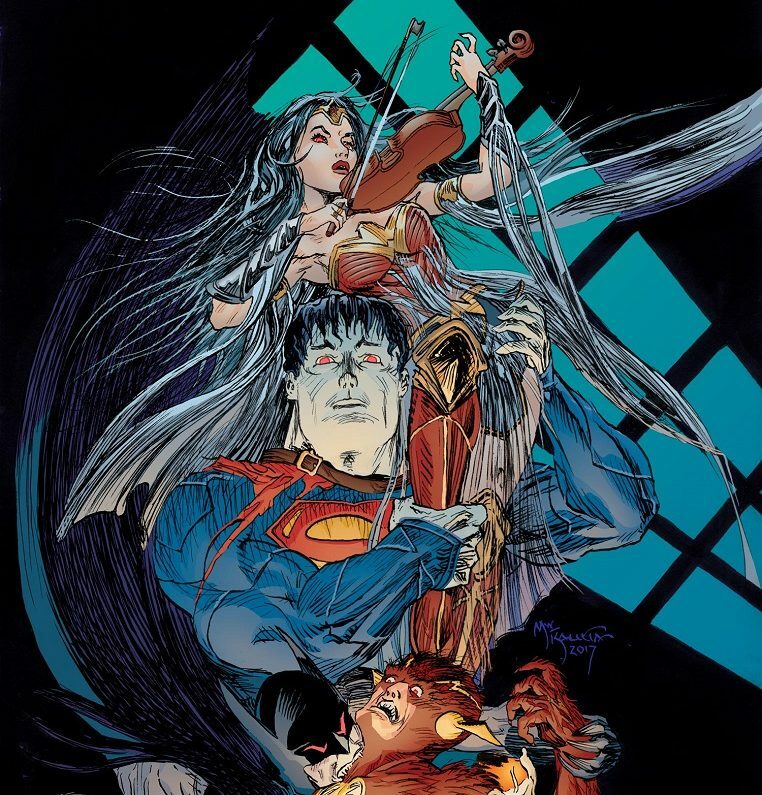 Check out the stunning cover art by comics legend Mike Kaluta below!